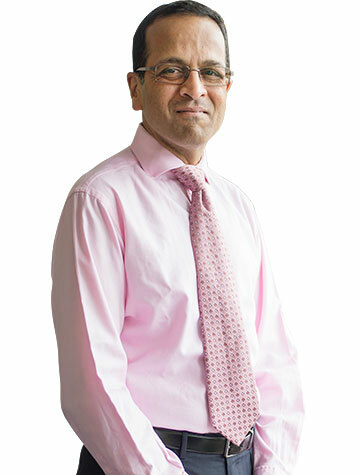 Abeezar Sarela is a consultant surgeon in Leeds since 2003. He works in the NHS at St James’s University Hospital and practices privately at the Nuffield Hospital and the Spire Hospital. Mr Sarela has extensive experience in laparoscopy (keyhole surgery), and he uses this method for most operations. Mr Sarela went to medical school in Bombay, and did his surgical training in Bombay, London, Leeds and New York. In addition to surgical practice, Mr Sarela is currently studying for a PhD in Medical Law at the University of Leeds. Operations on the stomach to reduce appetite and increase fullness after eating. Operations for cancer of the oesophagus and stomach. Operations for Acid Reflux, Gallstones, Hernia, Achalasia and Gastroparesis.